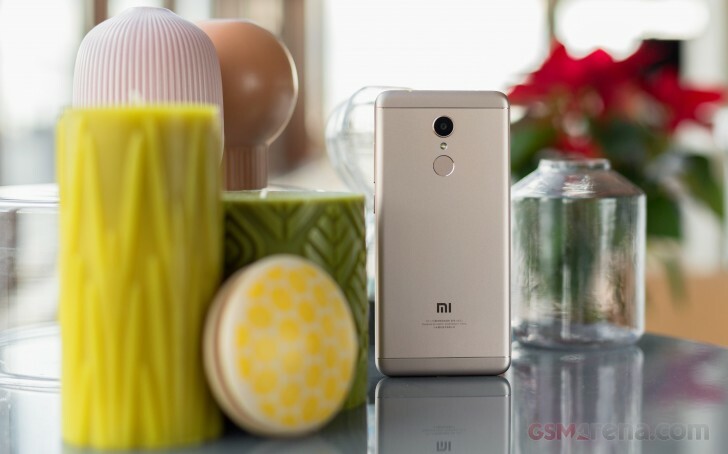 Xiaomi Redmi 5 sounds like a successor to the Redmi 4, but it actually comes as a vanilla version of the Redmi 5 Plus that is essentially the follow-up of the Redmi Note 4. The name game might not be strong with Xiaomi, but the device appears to have everything you would expect from a 2017 phone in the affordable segment - an octa-core chipset, 18:9 screen and friendly user interface. The Redmi 5 feels nice in hand, mostly due to its tall design. Texting one-handed is quite comfortable, especially when you have extra room for the keyboard. Xiaomi provides a transparent case with the retail package, but with a small nuisance - the camera still on the back protrudes a bit and you might have issues with it in the long run. 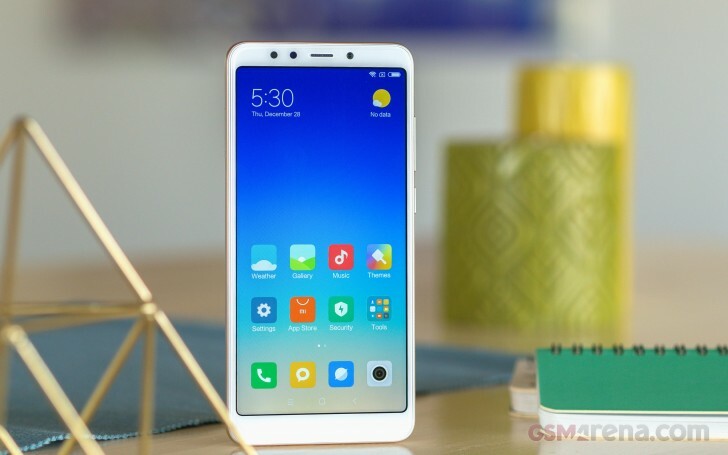 Some Xiaomi competitors like vivo and Oppo already decided to follow the trend of facial recognition for unlocking the device, but the Redmi 5 sticks to one security option - a traditional fingerprint scanner on the back, right below the 12 MP camera with f/2.2 lens and the LED flash. There is also a 5 MP selfie snapper that may do the job. Both cameras take 1080p videos, but we’ll investigate further into the actual quality once we get started with the review. Tall displays were everywhere in 2017, and it should not be a surprise that the Redmi 5 also has one. While media content is not ready for the switch to 18:9, you can easily hide the trio of buttons through the Settings and scroll less while browsing. It also has a nice immersive feeling while taking pictures in the new ratio, but be prepared, because it crops a third of the image height, so instead of getting a 12 MP image, the photo is just 8 MP with a resolution of 4000 x 2000 pixels. 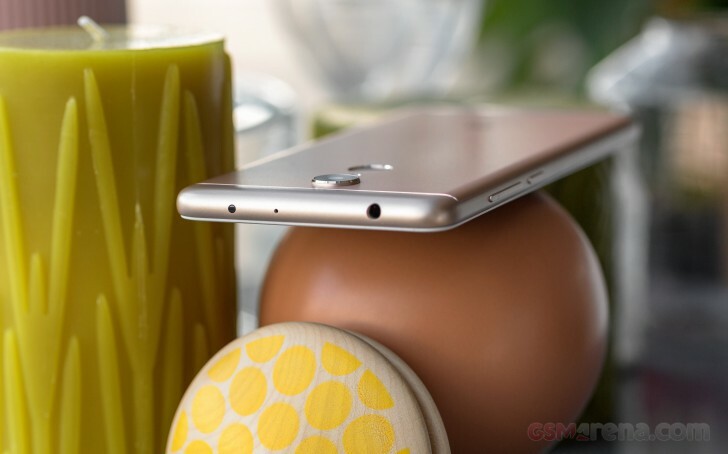 We got the 3 GB RAM version with 32 GB storage, but there is a cheaper 2GB/16GB option, both currently available only in China. Choosing between a bit more powerful Redmi 5 or the more affordable is one of the choices you have to make. You also have to decide if you want to get the phone now without Google services or with a custom ROM that gray importers will happily sideload. Or just wait until our full review is done before making the crucial decision.